High end stainless steel, graded for indoor installation only. Shoe included with every height except in 36", 37 3/4", 41 1/2" and 44"
Add elegance and shine to your staircase with our stainless steel stair balusters! A staircase project for your apartment, condo, or house? Discover our wide range of top quality stainless steel stair balusters, available in many colors, shades, and finishes. Use stainless steel stair balusters to create a more contemporary and urban style for your straight, spiral and glass staircases. 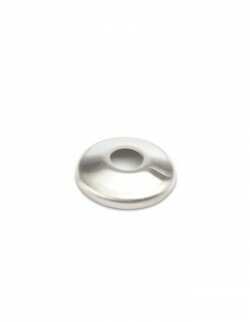 Benefit from our exceptional collection of staircase accessories, such as decorative stair rings and stair screw covers. 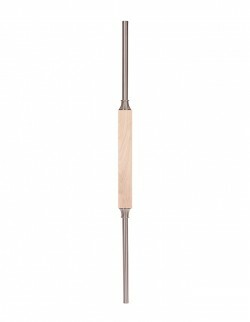 Prestige Metal has been manufacturing stainless steel stair balusters for more than 20 years and offers you the possibility to buy your balusters online, but also at its distributors and retailers, located throughout Quebec, Canada, and the United States. All Prestige Metal retailers can assist you in the design and installation of your stainless steel stair balusters.